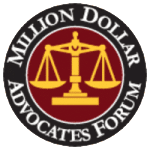 This month, a jury awarded $33.5 million to a little boy, Jordan, who has permanent brain damage and cerebral palsy because physicians failed to perform a timely C-section. In fact, physicians delivered Jordan over 6 hours after an obstetrician ordered that the baby be delivered. At 10:45 a.m. on April 28th, 2005, Jordan’s mother visited her obstetrician at an obstetrical clinic for high risk pregnancies. The physician immediately sent her to the hospital “for delivery,” along with test results showing that her fetus was exhibiting signs of distress and was at significant risk of injury if not delivered. An investigation further revealed that Jordan should have been delivered immediately following his mother’s arrival at the hospital. Instead, a C-section was scheduled for 3:30 p.m., and even that time-frame was missed by 79 minutes. When a fetal heart monitor shows that a baby is exhibiting signs of distress, it means that the baby is not getting enough oxygen (called hypoxia), and prompt and appropriate actions must be taken. These actions may include the administration of oxygen, fluids and medication to the mother, or a change in the mother’s position. Often, an emergency C-section is required in order to remove the baby from the conditions causing the distress, especially if earlier interventions did not cause fetal heart tones to improve and become reassuring. When required, an emergency C-section should be performed as quickly as possible, and many times it should be performed within 10 – 18 minutes or less. In baby Jordan’s case, the obstetrician ordered that he be delivered. Tragically, this order was not followed, and Jordan was left in the stressful, oxygen-depriving conditions. When a baby is oxygen-deprived / hypoxic, the hypoxia can get progressively worse. Mere minutes can make a difference in how much damage hypoxia inflicts on the brain. In fact, Jordan’s attorneys showed that if Jordan had been born even 20 minutes earlier, his injuries probably never would have occurred. If there is fetal distress – especially if it continues after intervention – the baby must be delivered, usually by C-section. When distress occurs, there is no room for physicians to gamble that a baby will be okay inside the womb. Indeed, small amounts of time can make a difference during birth when fetal distress and other complications are occurring, which is why it is imperative that hospitals with birthing facilities be fully prepared to timely deliver a baby by C-section. This means that the facility must have proper anesthesia and surgical personnel to permit the start of C-section delivery within 30 minutes of the decision to perform the procedure, according to guidelines set forth by the American Congress of Obstetrics and Gynecology (ACOG) and the American Society of Anesthesiologists (ASA). Furthermore, experts state that in certain cases, a C-section must be performed in 18 to 10 minutes or less, and in more serious conditions, such as a prolapsed umbilical cord, delivery must occur as soon as possible. There are many situations during labor and delivery that can cause a baby to become hypoxic. Oftentimes, a non-reassuring heart tracing on the fetal monitor is the only indication that the baby is hypoxic. It therefore is imperative that the baby be closely monitored during labor, and that fetal heart tracings be closely watched and properly interpreted. Once the heart monitor indicates that the baby is in distress, quick actions must be taken, and oftentimes, an emergency C-section must occur to remove the baby from the hypoxic conditions. When a baby becomes hypoxic, a condition called hypoxic ischemic encephalopathy (HIE) can result. HIE is brain damage that occurs due to a lack of oxygen in the blood, or a lack of blood flow in the brain, called ischemia, which deprives the brain of oxygen. HIE can lead to permanent brain injuries, such as cerebral palsy, intraventricular hemorrhage (IVH), periventricular leukomalacia (PVL), seizure disorders, hydrocephalus, and intellectual and developmental disabilities. When physicians and medical personnel fail to appreciate signs that a baby is in distress, or fail to properly interpret fetal heart tracings, it is negligence. When a hospital holds itself out as a birthing facility and is not properly prepared to perform an emergency C-section, it constitutes negligence. Indeed, it is negligence when standards of care are not followed, informed consent is not obtained from the mother for every procedure, and timely performance of an indicated C-section does not occur. If negligence causes permanent injury in the baby, such as cerebral palsy, it is medical malpractice. 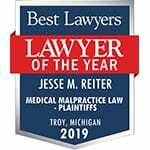 The nationally recognized attorneys at Reiter & Walsh ABC Law Centers have been helping clients in Michigan, Ohio, Washington D.C., and nationwide for decades. We are experts in the field of cerebral palsy and birth injury and have a track record of multi-million dollar verdicts and settlements that attest to our success. Conditions such as cerebral palsy can require a lifetime of medical attention, care, and therapy, which can be very costly. Let our attorneys fight for the compensation that you and your child need. If your child has been diagnosed with cerebral palsy or other birth injuries, call Reiter & Walsh today for a free consultation: 888-419-2229.